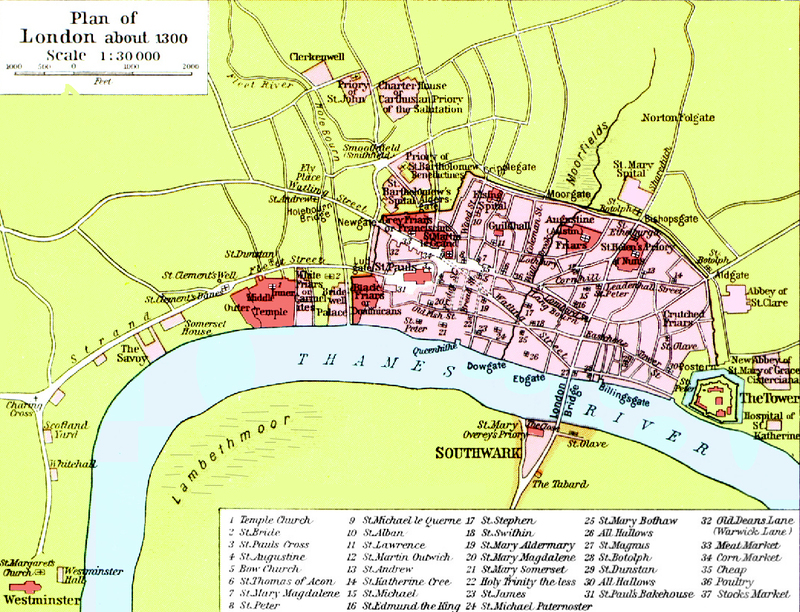 Westminster Abbey is located in the town of Westminster (bottom left corner of map) which was a western suburb of London in the middle ages, but is now part of central London. William R. Shepherd. Historical atlas. 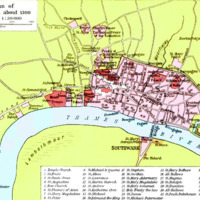 (1911) Page 75, “Westminster Abbey on London map c. 1300,” Medieval London, accessed April 22, 2019, http://medievallondon.ace.fordham.edu/items/show/9.